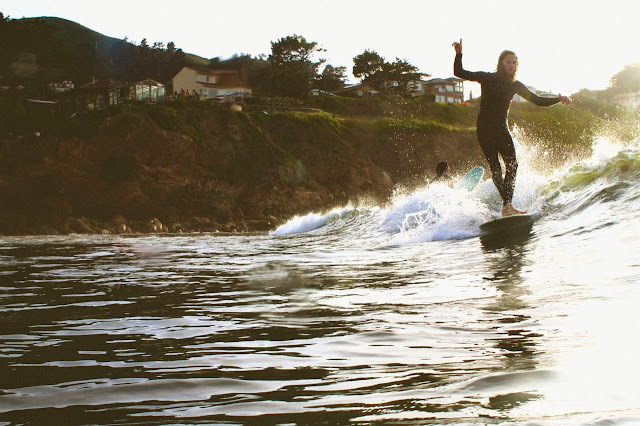 Nick Maimone is a San Francisco shaper who was born in New Jersey in the late eighties. Nick's family was the adventurous sort, who inspired him to stay outside. Before Nick was born, his parents lived in Redondo Beach, where his father pursued professional diving and underwater photography. "Whether it be frozen (snow) or in its liquid form, we were in it. Sometimes knee deep, sometimes consuming us whole." As Nick grew older, his appreciation for the ocean and art lead him to focus on geometry and physics in school. "I wasn't really interested in other classes and judging from my grades they weren't too interested in me either." Following high school, Nick attended the University of the Arts in Philadelphia where he earned his BFA in Sculpture. In the process Nick "... had the opportunity to develop not only my hands-on and process oriented skill sets, but my conceptual and philosophical mind. I came out of college with experience in welding, blacksmithing, carpentry, painting, sculpture, philosophy, casting metals, printmaking, and everything in between." Following his formal art education, Nick moved across the country, settling in San Francisco where he re-discovered his passion for the ocean and began shaping his own sticks. 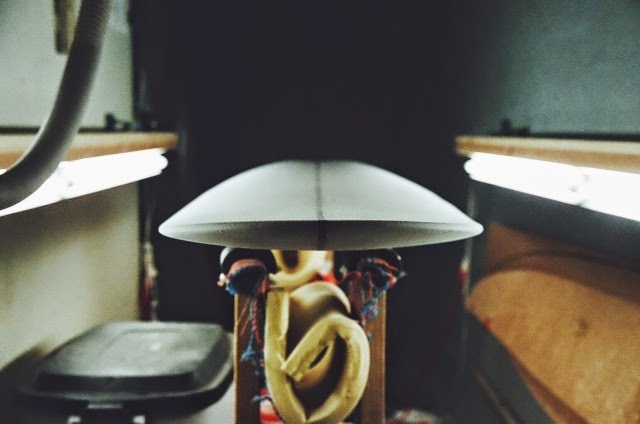 After building boards for himself and a handful of friends, Nick launched Our Daily Shred, the name under which he hand shapes an assortment of surfboards. After following Nick on Instagram for the last year, I decided to send him a couple questions in hopes of learning more about both his boards and his (new) business. I started in the water as a child surfing waves via body and my sweet orange Morey Boogie that I still have. I had a group of friends that surfed from the time I was just boogey boarding. I reconnected with these guys late in high school and finally bought my first legitimate surfboard from my friend Kyle. It was a 6'2 (I think) Webber Afterburner. I got really good at duck diving and paddling out and around but struggled for a long time catching waves. Although all my friends were riding short boards, we kind of worshiped Joel Tudor for his artistry in non mainstream surfing and board selection. Being artists, musicians, skaters, etc. we were drawn to his style and what he had to say about surfing equipment other than short boards. There were a few retro boards floating around the crew that would get used in ridiculously big winter conditions for reasons unknown to me. I'll never forget, my friend Dave walking to the beach with a big blue KG fish on a double overhead day in about 15 degree weather. Other frozen surfers on their way in looked at him like he was insane. But if anyone had the girth to do it it was Dave. He got out fast and as I was paddling out he took off on a bomb. I'll never forget that wave and my admiration for that moment. He drew beautiful lines on a racing winter wave in ways our short boards never could. I've been addicted to the water from a young age, so i would have to say flopping around in the white water on a boogey with my dad. The first wave I ever caught on a surfboard I had to bail/yard sale because there were so many people out and I was going far too fast. It was a packed summer morning! How did you get into shaping your own sticks? It was inevitable with my skill sets and interest in history, surfboard design, etc. that I try to make my own. I went through a period where I was locating, buying, collecting, studying, trying all different types of board old logs new logs, LA logs, Australian logs, everything. Thick ones, thin ones, full rails, knifey rails. I don't have any friends with impulsive habits like mine when it comes to boards so in order for me to try these things and see how they work I was perpetually broke, buying and trying all different boards. I wanted to try to differentiate how this design feels this way and why this other design functions/feels that way. That helped give me an understanding of what does what. I really love the aspects of simplicity and line and color surfboard making can provide. I also really like watching others ride my boards and get stoked. I appreciate people like Marc Andreini, George Greenough, Greg Liddle, Brian Hilbers, Paul Gross, Michel Junod, Bob McTavish, Nat Young, and the younger generations like Robin Kegel, Ryan Lovelace, Thomas Bexon, Tyler Warren, and I also follow the work of some low key Australians that are really killing it. Of all the boards you've built thus far, which one is your favorite and why? Most recently I made myself a 9'4 pig that rips. Especially when the wave energy gets good. I've been working a lot on my foil, rails, and rocker. This board was the culmination of all the things I had been trying to make better and it shows. I've caught some truly inspirational, amazing waves on it. 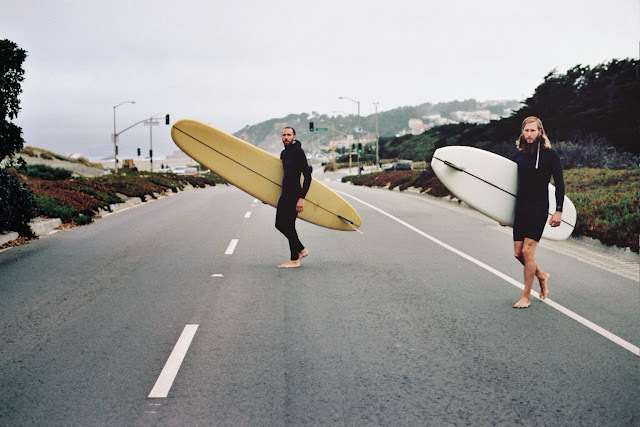 I Usually like a versatile longboard that is loose and has good flow. The pig doesn't have a ton of support on the very front end like a noserider because of its template and foil but in the right moment you can get a mean cheater-five. It surely does dive into a deep cutback with ease and has the ability to project you very far distances ahead and back into the pocket. I dig it. AND its a real looker. The unknown actually...its something that I have pondered for some time. Found in vast spaces, unanswered questions, the things much larger than ourselves. Art, dogs, nature in general. I really love old European classic cars. VW, BMW. I have a 1976 BMW 2002 that I put a lot of heart and soul into. Its a real ripper but it needs paint. I give up... it's for sale. I go in and out. Lately sometimes I get in a really intense mood and throw on some Terry Malts. Other times I have had major faith in Allah-Las. Their sound is on point and very powerful. Sometimes I'll be in the mood for Nick Drake, American Football, Owen, random reggae, my dad was really into oldies so I have a passion for Sam Cooke, The Tempations, Marvin Gaye, The Four Tops, etc. I think that was some of the best music ever made. If you were going to take us out for tacos, where would we go? Down and dirty...I really like a lot of places but El Beach Burrito on Judah down by the beach in SF is super chill and the food is awesome. What's the learning curve look like? Is shaping something anyone can do? I think it depends on your skill sets and capabilities. Mine happen to be in the visual/hands on realm. I am extremely critical of my art and the boards. Things that others might not see I will beat myself up about. But I think anyone can make a board-for sure. Let alone a surfable one. 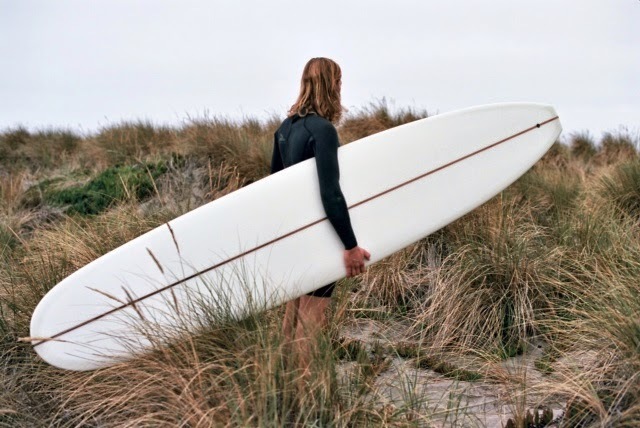 I have a belief that you can really surf anything if you take the time to get to know it. It's just the beginning really... right now I am just trying to make more boards and have fun. Try new stuff, work with new people. Also I love watching guys shape that are true legends and craftsmen. Having some of these people accessible to me to learn from is humbling. I have a pretty tiny space I shape in my garage. I'd eventually like to expand to a more spacious setup where I can also have a little studio/woodshop for other projects too. I'd be happy with just a bigger shaping room right now. Click here to learn more about Nick Maimone. Photos come courtesy of Stephen Amato, Tyler Rein, Paul Ferraris and Nick Maimone.